There is little chance of Israel bombing Iran because sanctions and other measures put in place by the international community will be enough to contain the Islamic Republic’s nuclear ambitions, former four-star general Wesley Clark tells Newsmax. And in any case, President Mahmoud Ahmedinejad is in such deep domestic trouble that his own people could be the ones who turf him out, Clark predicted. Clark spoke exclusively to Newsmax.TV in New York where he was attending the Clinton Global Initiative. He said he does not believe Israel will strike Iran. “Other measures will be brought to bear by the international community against Iran,” he said. “I mean tougher sanctions and other measures. Everything’s on the table. “President Obama said he’s going to do everything that’s required. They will not get a nuclear weapon,” Clark predicted. Clark was NATO’s Supreme Commander Europe from 1997 to 2000 and led the allied forces in the Kosovo War in 1998 and 1999. After his retirement from the military he became active in Democratic politics. He won the party’s Oklahoma primary in 2004 but dropped out of the race soon after. “They were put there as a sort of unimaginable, awful consequence if there’s no agreement. They were designed to generate the agreement. “In other words, they were to be so awful in contemplation that the Republicans and Democrats would have to agree, the Democrats because this cuts primarily the social side, the Republicans . . . on the military side. via Wesley Clark to Newsmax: Israel Will Not Bomb Iran. President Obama spoke to the United Nations General Assembly in New York yesterday – and what a disappointing speech it was. He actually scrapped his original speech outline to focus on the controversial YouTube video that many have suggested sparked recent anti-American attacks in the Middle East, including one in Libya that killed a U.S. Ambassador and other Americans. Making this video the focus of his speech was inappropriate. He should have used the international platform to make an unapologetic case for freedom. The President failed the American people—and America’s allies—in five major ways. I know that not all countries in this body share this particular understanding of the protection of free speech. We recognize that. But in 2012, at a time when anyone with a cell phone can spread offensive views around the world with the click of a button, the notion that we can control the flow of information is obsolete. The question, then, is how we respond. The President probably thought he was being clever, turning the argument around on those calling for restrictions on free speech. But it would not be surprising if there were a number of nodding heads in the audience agreeing that all such “incitement” should be banned. That comment could, and probably will, be interpreted as a backhand endorsement of efforts to restrict free speech like the “defamation of religions” resolutions offered by the Organization of the Islamic Conference in the U.N. and the Human Rights Council. President Obama spent less time defending free speech than he did outlining a vague vision for a world with tolerance and diversity as its key ideals. Perhaps this lopsided emphasis sought to reinforce the administration’s dubious claim that only hateful speech is to blame for the attacks on our embassies, but the overall effect was to lend credibility to the notion that governments should be policing speech. Instead of free speech, the Obama Administration has had a policy of apologetic speech. The Administration supported a U.N. “anti-blasphemy” resolution last year that threatens freedom of speech by condemning any expression that could be deemed “defamation of religion.” The President’s words yesterday continued this weak, apologetic stance. Iranian President Mahmoud Ahmadinejad will speak to the U.N. today, but he’s already made his positions quite clear. This week, Iran has escalated threats against Israel and the United States, and Ahmadinejad has said that Israel should be “eliminated” and that a “new order” should emerge, without the U.S. as a superpower. In response, the President made a “milquetoast statement,” said Heritage’s Nile Gardiner, projecting “a dangerous leading-from-behind mentality at a time when the free world needs bold U.S. leadership.” The President continues to pay lip service to diplomacy with Iran, when the time has clearly passed for this approach. Heritage’s Gardiner lamented that “Yet again, Obama drew moral equivalence between the Israelis and the Palestinians, a theme he has frequently expounded upon since taking office.” Palestine continues to edge its way into U.N. organizations, pursuing statehood without negotiating with Israel. The President should have taken a hard line against this. Instead, he made U.S. support for Israel—America’s steadfast ally in the Middle East—a mere footnote in his speech. Heritage experts said ahead of the speech that President Obama should call for “a new era of economic liberalization to expand economic freedom around the globe and ensure that the opportunities of a globalized and interdependent world economy are available to all citizens.” This is the key to raising people out of poverty and giving them alternatives to joining radicalized groups. However, the Obama Administration has failed to increase economic freedom at home or to promote it vigorously abroad. We should never allow the U.N. or anyone to abuse the mantra of human rights to undermine our sovereign constitutional system which not only protects our God-given rights and the liberty to govern ourselves but also offers the best model for others to do the same. No American should speak apologetically about America. Especially not the President. Heritage and The Hoover Institution will examine Obama’s speech and America’s relationship with the United Nations today at noon ET. Click here to watch it live online. Obama Has Another Jimmy Carter Moment at the U.N.
Today at the U.N. General Assembly, Iran’s Mahmoud Ahmadinejad will speak, followed by Egyptian President Mohammed Morsi and British Prime Minister David Cameron. See today’s schedule. The president of Libya says that the YouTube movie trailer for Innocence of Muslims had nothing to do with the September 11 attacks on the U.S. consulate in Benghazi. Theft of Apple products such as iPhones and iPads is up 40 percent in New York City since last year. The upcoming Presidential debate on October 3 is the most important single event in Mitt Romney’s political career. The elite news media is doing everything they can to convince Romney’s supporters that the election is lost. Americans will be tuning in that evening to see if Governor Romney turns this media narrative on its head. This will be the first time Americans will see President Obama and his challenger side by side. P.S. I have an essay on this same subject — Presidential Debates — in the new e-book “Taking Turns: Political Stalemate or a New Direction in the Race for 2012” by my friend Barry Casselman, a journalist and astute political observer. It’s a fascinating look at the Race for 2012. WERE YOU FORWARDED THIS EDITION OF THE NEWT GINGRICH LETTER? “We have two immediate opponents, the irreconcilable wing of Islam and the rogue dictatorships that empower the radical Islamists. The irreconcilable wing of Islam considers America the great Satan. The Islamists cannot reconcile with a secular system of laws. They cannot tolerate a West that maintains a presence in the Arabian Gulf or that would defend Israel’s right to survive as a country. They cannot tolerate freedom of speech, freedom of religion, or freedom for women. In short, their demands are irreconcilable with the modern world. “Politically correct secularists cannot understand that we are participants in a global civil war between the modernizing and irreconcilable wings of Islam. While the irreconcilable wing must be fought militarily, this is also a cultural, political, and economic war (as was the Cold War). This war is not primarily about terrorism, it is about an Islamist insurgency against the modern world. “A reasonable estimate would be that this war will last until 2070 (the Soviet Union lasted from 1917 to 1991, or seventy-four years). An optimist could make a case for winning by 2025 or 2030. Alternatively this conflict could be a fact of life for several centuries (as the Catholic-Protestant wars were during the Reformation and Counter Reformation). “Because secular post-modern analysts refuse to take religion seriously, we describe "suicide bombers" while our opponents describe "martyrs." We see them as psychologically deranged where they see themselves as dedicated to God. We focus on body counts while our opponents see their dead as symbols for recruitment. We focus on weeks and months while our opponents patiently focus on decades and generations. We think of trouble spots while they think of global jihad. We are in a total mismatch of planning and understanding. “We are hunting down al Qaeda (a loose grouping of 3,000 to 5,000 people) while our opponents are vastly larger. As one counter-terrorism analyst suggested to me "about the time we wipe out al Qaeda there will be five to ten new organizations of equal or greater size." We can reasonably guess that about 3 to 4 percent of the 1.3 billion Muslims on the planet are potential terrorist recruits-a pool of 39 to 52 million young men. There might be more than 10,000 potential recruits for every current member of al Qaeda. North American Energy Independence now. In the last several years, technology and engineering advances have enabled access to vast domestic oil and gas resources we never thought reachable before. I sat down with Scott Noble – who runs the largest privately held mineral royalties company in the United States – and Exploration & Production magazine to discuss the impact of these enormous changes, and the opportunity to move beyond dependence on Middle Eastern oil. And if you want to know all the facts on this new reality, you can watch our full session on energy at Newt University, which contains some truly amazing information on American energy potential I can guarantee you’ve never heard. The process of leading others is a human endeavor, not a science that can be quantified and categorized to fit into a neat set of instructions for success. Every individual is gifted with different levels of ability and capability to lead others; however the resulting success or failure is not solely based on those abilities. Leadership is not only the purview of those with a talent for the task, but can be developed through mentorship and discipline and raised to a level unobtainable through individual effort alone. The traits of a good leader have been defined for us in our training as a guide for the development of our abilities while providing both a goal we should all seek to achieve as leaders and mentors of others along with a yardstick by which we measure ourselves. There is no one single leadership trait more important than any other. All play an important role in developing our leadership philosophy. However, some traits rise to a higher distinction than others and mold the foundation of our individual philosophies influencing how we will lead when called to do so. via The cornerstone leadership trait: Unselfishness | Quantico Sentry Online. 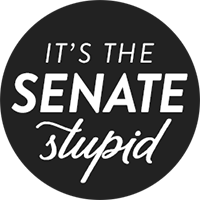 Below please find a special message from one of our advertisers, Senate Conservatives Fund. From time to time we find special opportunities we believe you as a valued customer may want to see. Please note that the following message reflects the opinions and representations of our advertiser alone, and not necessarily the opinion or editorial positions of RedState.com or Eagle Publishing. Fellow Conservatives:This is U.S. Senator Jim DeMint. You may remember the slogan “It’s the economy, stupid” used by Bill Clinton during the 1992 presidential campaign to make the point that George H. W. Bush had not adequately addressed the economy. Clinton’s political strategist, James Carville, posted the phrase inside campaign headquarters as a way to keep the team focused and on message. The phrase later became the de facto slogan for the Clinton election campaign. The slogan is relevant again in 2012 as Americans consider Barack Obama’s dismal economic record, but if you consider yourself a freedom-loving American, I have a different slogan for you. Most Americans are focused on the presidential race right now, but winning the White House — as critical as it is — won’t be enough to save the country we love without a strong, conservative majority in the United States Senate. Without a conservative Senate, we won’t repeal Obamacare. Without a conservative Senate, we won’t balance the budget. Without a conservative Senate, we won’t secure our borders. Without a conservative Senate, we won’t stop the bailouts. And without a conservative Senate, we won’t enact the pro-growth policies needed to get America back to work. Be Smart. Change the Senate. If you’re reading this letter, chances are, you follow current events more closely than most and you probably understand the point I’m making — winning the Senate is key to restoring America’s greatness. The simple fact of the matter is this: a Republican president without a conservative Senate is a waste of a Republican president. A president can campaign on good policies, but he doesn’t write the bills. As long as liberals are in charge of writing legislation, it will be difficult for a Republican president to sign the right bills into law. Does anyone think Harry Reid will ever send a bill to the President’s desk to repeal ObamaCare? The answer is “no” and that’s why I am focused on sending strong conservatives to the Senate who will make that a reality. Act Now. Support Senate Conservatives. As we head down the home stretch of the most important election in our lifetime, my challenge to you is this: keep your focus on electing true conservatives to the U.S. Senate. These Senate races aren’t getting the same media attention as the presidential race, but they’re no less important. This is why I founded the Senate Conservatives Fund, an independent, grassroots organization that helps elect principled leaders to the U.S. Senate, and it’s why I so strongly support its efforts today. These candidates share a strong belief in the principles that make America great and they understand the critical role the U.S. Constitution plays in preserving our freedoms. These leaders also have records that prove they not only talk the talk, but also walk the walk. And they’ve all shown the courage to stand up to their own party’s leaders when it was necessary to support and defend our principles and values. So if you agree that winning a conservative majority in the U.S. Senate is vital to our nation’s future and if you’re willing to engage in these races even at a time when the media ignores them, then please do three things today. Sign up for SCF email updates so you can stay informed. 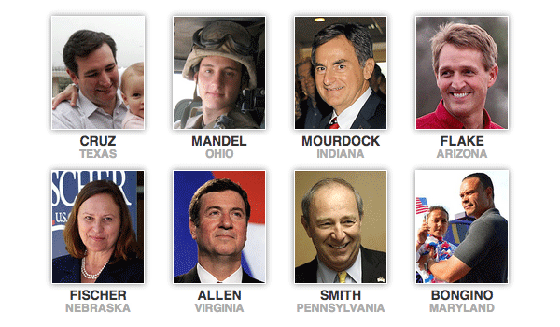 Make a contribution to help SCF’s endorsed candidates. Without financial support, these candidates won’t win. Forward this email and encourage your family and friends to support these outstanding Senate candidates. Thank you for your commitment to principles of freedom. We live the greatest country in the world and if we work together in smart and effective ways, I’m confident we can preserve it for generations to come. Washington – Tonight the House of Representatives passed H.R. 4212, the bipartisan Drywall Safety Act of 2012, offered by Congressman Scott Rigell, to prevent Americans from suffering the devastating effects of contaminated drywall imported from other countries including China. The legislation sets chemical standards for domestic and imported drywall; establishes remediation guidelines for disposal of all drywall; and expresses a sense of Congress that China must be held accountable for the damage this product has already caused in our community and across America. The bill now goes to the Senate for consideration. Expresses a sense of Congress that the Chinese manufacturers need to come to the table and make restitution to the victims. Institutes a labeling requirement so that contaminated drywall can be traced to the manufacturer. Sets chemical standards to limit the amount of sulfur that can be present in domestic and imported drywall. Requires the Consumer Product Safety Commission (CPSC) to update its remediation guidelines to prevent contaminated drywall from being recycled or reused.